Charo Lacalle is a Full Professor at the Department of Journalism and Communication Sciences, which she directs from 2016 (Autonomous University of Barcelona – UAB). She holds two bachelor’s degrees from that same university, one in Information Sciences and one in Philosophy, as well as a PhD by the UAB on TV news in Europe. Dr. Lacalle edits the academic journal Anàlisi. 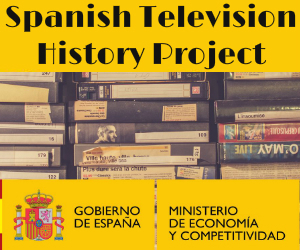 Quaderns de Comunicació i Cultura and coordinates the research group OFENT (Observatory of Spanish Fiction and New Technologies) and the Spanish group of OBITEL (Ibero-American Observatory of TV Fiction). As a Visiting Professor, she has taught classes and seminars in several European and Latin American universities. Jose María Perceval, professor of the Department of Journalism at the Faculty of Communication Sciences, Autonomous University of Barcelona. He is a member of the PhD program in Communication and Education, ex-director of the journal RUTA (University Journal of Academic Works), and coordinates the program of the Universidad Internacional de la Paz. He helds a PhD in Social Sciences at the EHESS (1993), his thesis dealt with the archetypes of Xenophobia and Racism in the case of the Spanish moriscos; and another one in Communication Sciences with a thesis on political publicity. He has been a scientific consultant for the docu-fiction film of Casa Arabe “Expelled 1609: the tragedy of the Moriscos”. He is the author of numerous books related to the topics of Xenophobia and Racism. Mariluz Sanchez has a PhD in Communications and Journalism (UAB), a Masters in Communication Research (UAB) and a Certificate in Data Analytics, Big Data and Predictive Analytics (Ryerson Unversity). A researcher of the Observatory of Spanish Fiction and New Technologies (OFENT), she´s also a member of the Ibero-American Observatory of Television Fiction (OBITEL) and currently works as an Insights Analyst at the media agency Jungle Media, in Toronto (Canada). Anna Tous-Rovirosa is an Associate Professor of Journalism in the Faculty of Communication Sciences at Autonomous University of Barcelona (UAB) and has been a visitant professor at Federal University of Bahia (Brazil) and Ruhr-University (Bochum, Germany). She has been awarded by the Catalan Audiovisual Council (CAC, 2009) for her PhD in Audiovisual Communication. She has written several books and papers in international journals about TV fiction, such as Comunicar, Communication & Society, Series, Trípodos and El Profesional de la Información She is the Director of the Journal Anàlisi. Quaderns de Comunicació I Cultura. Lecturer the Department of Journalism and Communication Sciences (UAB). PhD in Audiovisual Communication (Universitat Ramon Llull), DEA in History of Cinema (Autonomous University of Madrid), Bachelor of Audiovisual Communication (Universitat Ramon Llull). Lecturer at the Department of Catalan Philology and Communication of the University of Lleida. PhD in Communication and Journalism (UAB). Degree in Social Communication and Journalism from the University of Bogotá Jorge Tadeo Lozano. Lecturer at the Faculty of Information Sciences of the Complutense University of Madrid. Degree in Information Sciences (Image and Sound Section) by the UCM and PhD by the same university in 2005. Lecturer at the Department of Communication and Social Psychology at the University of Alicante and at the Cela Open Institute (UCJC). PhD in Audiovisual Communication and Advertising from University of Alicante. Master in Communication in Creative Industry (UA) and degree in Advertising and Public Relations (UA). Raquel earned her Ph.D. from the Faculty of Humanities at Pompeu Fabra University of Barcelona in 2011 and now she’s working on her second Ph.D in communication area. She recently published a book about the tv show Mad Men –Mad Men o la frágil belleza de los sueños en Madison Avenue (Errata Naturae, 2016)- , Retorno a Twin Peaks (Errata Naturae, 2017) and De ratones y heroes (Ediciones La Marmotilla, 2017), about the graphic novel Maus by Art Spiegelman. PhD in Journalism at the Universidad Miguel Hernández of Elche (UMH). Master in Research in Communication and Journalism at the Universitat Autònoma of Barcelona (UAB).). Professor of Marketing Research and Information, Protocol and Ceremonial and Tourism Management Project at ESERP. Graduated from the Department of Journalism at the Autonomous University of Barcelona. Master in Research in Communication and Journalism (UAB). Currently a PhD student in Communication and Journalism (UAB). Graduated, specializing in Audiovisual Communication from the Alberta Giménez Higher Education Center (CESAG). Master in Research in Journalism (UAB). PhD student in Communication Sciences (UAB). MA in International Journalism from the University of Westminster (London. UK), MA in Sociology from the Central European University (Budapest, Hungary). Currently a doctoral student, Journalism and Communication Program, UAB.